Transboundary. We published an opinion piece in the Juneau Empire asking our elected officials for four things: Please work toward securing binding financial assurances for our fishing fleet and communities if we suffer financial losses from real or perceived water quality contamination due to B.C.’s development projects. Please continue funding for baseline water quality testing. Please know that commercial fishermen and others are concerned with the cumulative effects multiple mines could have on Alaska’s rivers and salmon, especially with the wave of at least 12 mines B.C. is rushing through approval in transboundary watersheds. We strongly encourage the State Department to use the boundary waters treaty of 1909 as a tool to require regulatory mechanisms to keep Alaska’s waters clean and healthy. And last but certainly not least, please ensure the Tulsequah Chief Mine is cleaned up, once and for all. Read the whole thing hereand comment on the Empire’s page if inspired. Here’s another article by an Empire reporter. The State of Alaska through the Lt. Governor’s office will host a transboundary public workshop and dialogue in Juneau on June 1, 2018, TOMORROW, from 10:30 am to 3:30 pm. Meeting will take place at the Vocational Training and Resource Center 3239 Hospital Drive Juneau, AK 99801 second floor Auditorium. They hope to conduct a meaningful discussion with tribes, federal partners and stakeholders regarding work under the Memorandum of Understanding and Statement of Co-operation between Alaska and British Columbia. State entities will give updates and address concerns relating to the mining activity in Canada upstream of Alaska waters. Mark Zacharias, BC Deputy Minister of the Environment will attend along with Patty McGrath, the EPA Mining Coordinator for Region 10 who is the technical lead on the Federal Gap Analysis for the Department of State. King Salmon. 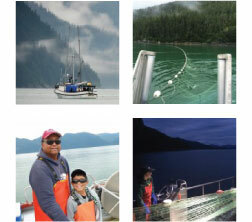 To listen and see the Sitka Chinook Symposium held by Fish and Game on May 21, click here; the link also includes other king salmon info. Not many salmon derbies this year but maybe a coho one for Petersburg? Need a crew contract? AK Sea Grant has a good one here that suits gillnetters. Salmon Prices. Good prices in the forecast! There is no backlog from last season in cold storages, a lower harvest forecast is boosting demand, prices for competing farmed salmon have remained high all year, and a devalued U.S. dollar makes Alaska salmon more appealing to foreign customers. Norwegian farmed salmon are affecting us as its price has surged as faltering supply combines with booming global demand. More health-conscious consumers and rising consumption in developing nations like Brazil and China mean the world can’t get enough of the fish used in delicacies from blinis to sashimi. Russia is leading the demand. SHOP HERE. USAG’s business members support YOU and YOUR BUSINESS so shop HERE when possible. 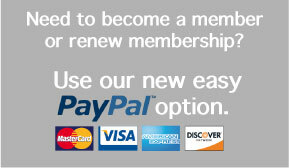 Need to renew or join USAG? See our website. 17 more days! We wish you a safe season with full nets.